Present state: The station site at track level is now occupied by Liverpool South Parkway Station which opened in 2006. The roadside station building has been demolished but a bricked up archway marks the spot where the subway used to give access to the platforms. 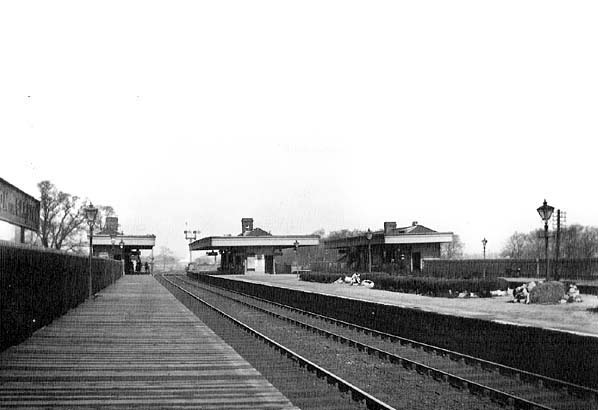 Notes: Allerton Station was opened by the St Helens and Runcorn Gap Railway as Allerton for Garston on their extension line that linked Speke with Edge Hill. The station opened on the same day as the new line on the 15th February 1864. At the time of opening the station would have had two platforms linked by a subway. On the 29th July 1864 the line was absorbed into the London North Western Railway (LNWR). By 1869, following the opening of the Ditton Junction to Weaver Junction line with its bridge across the Mersey at Runcorn Gap, the section of line on which Allerton Station stood had become an important trunk route between Liverpool and London. Allerton though was served by more local services running between Liverpool Lime Street and points to the south and to the east. In 1873 the LNWR built a new curve from a point just to the south of Allerton to Garston Church Road. This allowed a new commuter service to operate from Garston Dock to Liverpool Lime Street. 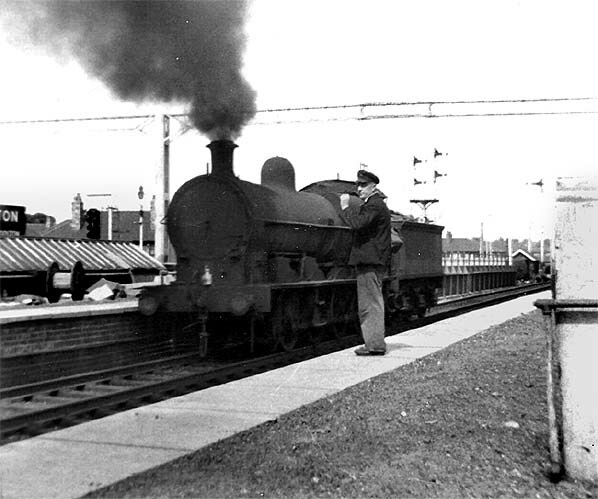 This service continued until the 16th June 1947.
built but the other two platforms which were perched on the side of the embankment were constructed of timber. The platforms where connected to each other by a subway at the north west end of the station. Booking facilities were at street level on the west side of the line. They consisted of a single storey wooden building in typical LNWR style. Facilities were also provided on the platforms. Again these were single storey and timber built and they included awnings to give passengers protection from the weather. 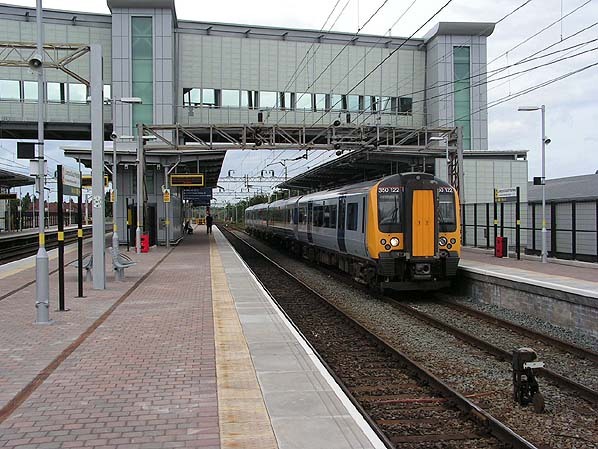 Passenger services settled down into a pattern of local stopping trains running between Liverpool Lime Street and Crewe, Manchester Oxford Road (via Warrington Arpley), Chester and Garston Dock. Apart from the loss of the Garston Dock service in 1947 very little changed until the late 1950's. During the late 1950's the line between Liverpool and Crewe was electrified as part of the West Coast Main Line electrification scheme. Stations along the route including Allerton were rebuilt in what was considered to be a more modern style. Allerton gained a new roadside building and new platform facilities. Electric traction began using the line on revenue earning traffic in 1960. A regular electric service began operating between Liverpool and Crewe. In 1962 Allerton lost what had by then become a very infrequent service to Manchester Oxford Road (via Warrington Arpley) only to gain new services to Warrington Central in 1966 when main line services out of Liverpool Central were diverted to run to Liverpool Lime Street via a connection that ran from the south end of Allerton Station to Hunts Cross. 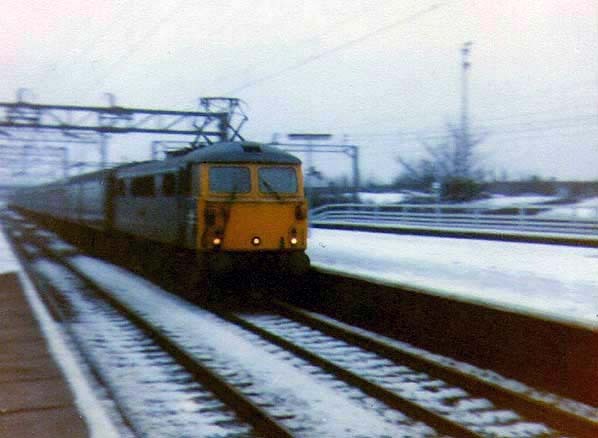 By the 1970's Allerton was served only by the services between Liverpool and Crewe and Warrington. The Chester service had become summer only but often ran on to destinations along the North Wales Coast. In the 1980's Allerton Station began to take on an air of neglect. Services became more infrequent. In January 1978 Garston Station on the former CLC main line, which was less than three hundred metres away re-opened (it had closed in April 1972) as part of the Merseyrail Northern Line. Its frequent electric train service was far more appealing to most passengers who deserted Allerton. In the early 1990s even the Crewe service stopped serving Allerton. An hourly service between Liverpool Lime Street and Manchester Oxford Road was all that remained. In the late 1990's the local passenger transport authority ‘Merseytravel’ started to look at ways in which it could bring both Allerton and Garston stations together to form an interchange that could serve the south of the city and the nearby Liverpool John Lennon Airport. Eventually it was decided to use the site of Allerton Station and the site of the former South Liverpool Football Club Ground to create a new interchange facility for trains and buses as well as offering a park and ride facility and a connection with the Airport. Work got underway in 2004. On the 30th July 2005 Allerton Station closed to allow construction of the new station. 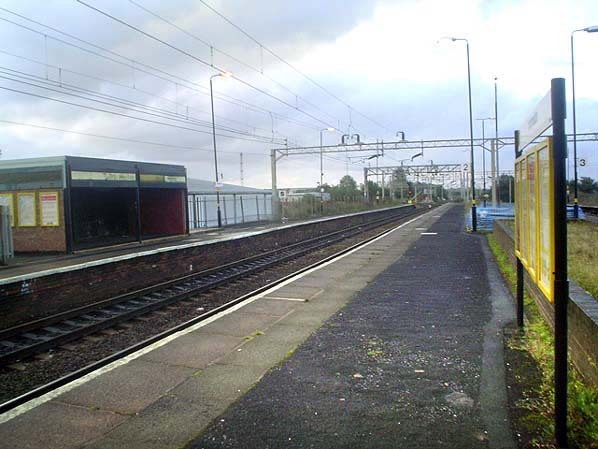 Today the site of Allerton station at track level is occupied by the high level platforms of Liverpool South Parkway which opened on the 11th June 2006. The former roadside booking office was demolished after closure but a bricked up archway shows where it used to stand and connect into the subway that gave access to the platforms. 1962 from 8A, Edge Hill shed after over 44 years service. The site of Allerton station looking north west in July 2006. The station site is now occupied by the high level platforms of Liverpool South Parkway Station. Access to street level was at the far end of the station and consisted of steps leading down to a subway. The modern station has a footbridge that has both lifts and stairs.